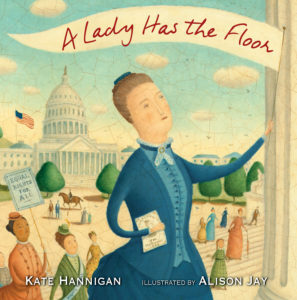 Today I’m thrilled to share A LADY HAS THE FLOOR, a gorgeous picture book biography by Kate Hannigan (illustrated by Alison Jay), which highlights the fascinating life and accomplishments of Belva Lockwood. 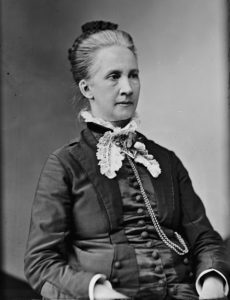 A true groundbreaker of her time, Belva was a lawyer, activist, and presidential candidate (the first ever on the ballot!) Belva seemed to have endless energy as she devoted her life to fighting for women’s rights in the classroom, the courtroom, and politics. 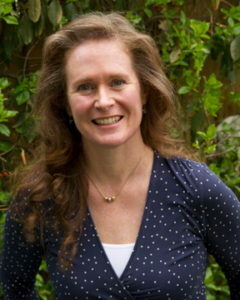 I’m excited to welcome author, Kate Hannigan, to Picture Book Builders to answer a few questions about her wonderful new book and its journey to publication. 1. Welcome Kate! You’ve written four great middle-grade titles, and this is your first picture book. What caused you to shift to a picture book project? ANSWER: I’ve had a lot of fun working on middle-grade novels. It’s nice to have some room to stretch out with 60,000 words, in such contrast to 32-page picture books that are all about economy of language. These are such different animals entirely, but that’s an appealing part of working in both. Variety! They are wonderful vehicles for storytelling to kids, each with their own distinct merits. 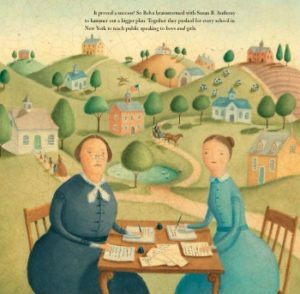 With writing A LADY HAS THE FLOOR and other non-fiction picture books, I find that research has become one of the things that makes me leap out of bed in the morning. I did a lot of research in writing about America’s first woman detective, Kate Warne, in THE DETECTIVE’S ASSISTANT. And I find it thrilling, engaging, fascinating. I’ll wave my history-nerd flag high! Anytime I hear about a historical figure that time seems to have forgotten, I actually feel my pulse kick up. I love this stuff! My kids are always smacking their foreheads when I go on about another amazing person from the past. But I embrace my geekdom. In fact, as I type, I’m surrounded by about four stacks of WWII books for some projects I’m on right now, and while I worked out a few minutes ago on an elliptical machine, I was watching a WWII documentary on Netflix. I truly cannot get enough of historical research! And non-fiction picture books are an incredible means of storytelling. I’m drawn to the way they encapsulate a life or a moment into a beautifully illustrated package. They are gorgeous to gaze upon—I was especially lucky to be partnered with the wildly talented Alison Jay, who I’d admired for a long time. And the picture-book format requires that only the most salient points in a life are featured, which means the storytelling has to be tight and efficient. If only I told stories around the dinner table so efficiently! 2. Why did you select Belva Lockwood as the subject of your book? And I employed a test that many authors probably use too: If I’ve never heard of this, maybe nobody else has either. So I asked friends and family if they knew Belva’s story, poked online to see if she was already poplar, checked some history books, and I discovered that not too many people had written about her. She wasn’t flashy in the style of Victoria Woodhull, who is credited with being the first woman presidential candidate. And not to diminish Victoria’s boundary-pushing accomplishments, but according to historical accounts she didn’t run a viable campaign, didn’t appear on ballots, and wasn’t even old enough to serve if elected. Hard-working Belva did run a real campaign, and she received about 4,000 votes. Her life was full of other remarkable accomplishments, and I saw her as a workhorse for the women’s suffrage movement. But because she broke with Susan B. Anthony and Elizabeth Cady Stanton and seized the moment to run for president in 1884, Belva was essentially frozen out. Susan B. and Elizabeth turned their backs on her. And Belva was relegated to a footnote. I thought she deserved more, and A LADY HAS THE FLOOR is my attempt at dusting off her story and sharing it with a new generation of readers and hopefully leaders. 3. Did you encounter any special research challenges or surprises while writing A Lady Has the Floor? ANSWER: Because Belva seems to have been media savvy, even for a 19th-century woman, there were plenty of newspaper articles from her day to consult for her opinions on things. She was a lawyer, one of the nation’s first women lawyers and an honor she had to fight for fiercely, so she left behind a good deal of articulate writing. While I’ve had challenges with other subjects I’ve researched, loquacious Belva was not too hard to research! The surprises came in learning about the life she led. She overcame so many obstacles, I was astounded time and again. When her husband died and left her destitute with a young child, she found a way to get to college and open the door to a better life. When schools didn’t want to educate her, she ignored their mistreatment and not only pushed forward but graduated with honors. When men told her to sit down and be quiet, she stood tall and would not be silenced. I don’t know that I could have accomplished the things Belva did. As a woman and a widow, Belva never forgot what it felt like to be marginalized and held back. So she worked hard for the rights of other widows and women, as well as freed slaves, Civil War veterans, Native Americans, and people she recognized as being outside the mainstream. She was incredibly progressive in her thinking and her actions. 4. The illustrations by Alison Jay in this book are lovely! Were you involved in the illustration process? ANSWER: My editor at Calkins Creek is the fabulous Carolyn Yoder, and she opened up our conversation about the book to include suggesting potential illustrators. I’d been familiar with Alison Jay‘s work since I picked up a copy of Shannon Hale’s GOOSE GIRL back in maybe 2003! Alison uses a crackle technique to give her work an antiquated feel. And I thought that would work well with Belva’s story. Carolyn liked it too, so she reached out, and thankfully, Alison had time! 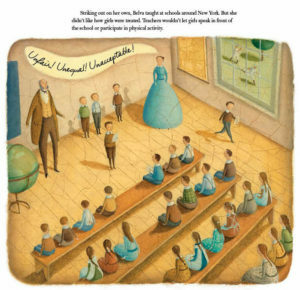 I think Alison’s illustrations are so lush and gorgeous, I want a Belva poster to hang on my wall for inspiration. I’m grateful and giddy when I look at this book. Alison is one talented lady. If you’d like a chance to win an autographed copy of A LADY HAS THE FLOOR, just leave a comment on this post. Winner will be selected Feb. 13th! 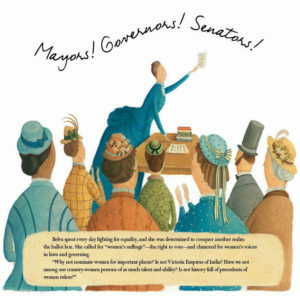 A Lady has the Floor, Alison Jay, Calkins Creek, Carolyn Yoder, Kate Hannigan, picture book, women's rights. Bookmark. Another FANTASTIC addition to add to my “Girls with Grit” BookClub library! Thanks so much for the information. I love to share the process for writing the books when I share it with bookclub members. I can see that this one will quickly become a favorite! THanks for the chance to win it! Hey, love the idea of a “Girls with Grit” Book Club! What titles have you already read!? I want to join! I’m looking forward to reading this one! This is wholly fascinating! Brava to Kate for her great detective work in uncovering this forgotten woman and a hearty thanks for sharing her story with the world! Cannot wait to read. Adore her slogan! Belva had many great turns of phrase, and she was pretty savvy for her time. Was the first woman to get ahold of a bicycle and ride it to and from work in DC! I am a huge fan of picture book bios. In fact, I’m writing one about another forgotten woman! Can’t wait to read A LADY HAS THE FLOOR. Keep at it! We need more of their stories told! I am very excited to learn about her and look forward to reading your book. Congratulations! I can’t wait to read this book! Like so many people here, I’ve been working on several “forgotten women.” Their lives and voices deserve to be heard. . . .
Amen to that! Good luck getting your book out into the world! So true when you love to research, you can come upon some amazing facts and people. I can’t wait to get my hands on this book! thank you for your work. What a gorgeous book! And a fabulous story to share with young readers. Congrats! Alison Jay is so talented, she takes my breath away! She made a beautiful book! This book is already in my order cart – can’t wait to see it! Will go perfectly with our Women’s History Month display in March. Thanks for getting the book. And thanks for putting up a Women’s History Month display!!! I love this! Can’t wait to read it! Reading this post with my own history-nerd flag held high, I admit I saw this book last night for the first time. 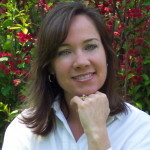 (I also am a Carolyn Yoder author.) It looks awesome! I love reading (and writing about) those stories the world has forgotten. 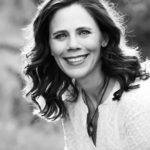 Thank you, Kate, for bringing Belva out of the dusty archives and into the light of day! Yay for the Carolyn Yoder fan club! She’s such a pro. I can’t wait to see your book! What’s it about? What a great find and how iinspiring a lesson on forging on no matter what. What an interesting woman Belva was! I’d love a copy of Kate’s book! Nice interview, Suzanne. Both the content and the art look fantastic. I look forward to learning more about this amazing person. I’m a history geek, too! I can’t wait to read this interesting and lovely book! I felt lucky to stumble across Belva (I read an interview she’d done with none other than Nellie Bly! ), and I was so grateful that she was such a prolific writer! Lots of material to draw on. Hoping my other books will be as accessible to research! I had the pleasure of attending a lecture by Ms. Hannigan at SCBWI’s Wild, Wild Midwest in 2016. Makes me even more excited to read this book! Hey! Wild, Wild Midwest was fun! I hope they plan another one! This sounds like such a spunky lady and an exciting story. I would LOVE to win the free copy. If not, guess I’m headed for a book store! Ha ha! Good luck on the win! But if not, your bookstore will be very happy. I’m happy either way! Thanks for uncovering another female lost in history. Can’t wait to read it. What a lovely gift this book would make for an elementary school teacher. Thanks for the post! Kathy, I like the way you think! Don’t you love it when you stumble upon some lost nugget of history! I too wave my history nerd flag proudly. I can’t wait to read about Belva. This looks like a great book! I’ve never heard of Belva Lockwood before. I enjoyed reading about how you went about doing your research for this book. Thanks for a great post and interview. you are my soul sister in regards to wanting to resurrect forgotten people from the past! Loved this! I hope you’re cranking on the manuscripts! Because there are a whole lot of people who deserve the spotlight! Good luck to you! Sounds like a great pb – can’t wait to check it out! What a great thing it is to bring to ‘life’ someone from the past that many people just don’t know much about, if anything. Belva would seem to be an inspirational character to many young girls today. I look forward to reading your book! I am so excited about this book coming out. It has been a part of my TBR list for months. I love your statement that you get excited about historical people that have been forgotten. I love reading nonfiction picture books about amazing people. Thank you for sharing this book and author. I can’t wait to read about Belva, Kate. Congratulations! What a fascinating figure! Yes, please. I’d like to put my name in the raffle. Putting this one on my list! Looks gorgeous and important. Congratulations to Kate. I love picture book biographies and this one looks wonderful! What a fantastic book! I’m so glad you decided to dip your toes into picture book land, Kate. Congrats to you and Alison! Thank you, Kirsten! I am HOOKED! Have been working on quite a few more! So many interesting people, so little time. . . ! Love this interview! Can’t wait to read this book, Kate. Congratulations! And what gorgeous illustrations (I’m a huge Alison Jay fan too). Thanks, Suzanne! I could plaster my walls with her art. She’s amazing, and she made a gorgeous book! I’m grateful and giddy about it every time I pick it up! Great interview, Suzanne! I am so excited to read this–it’s so my kind of book! Congrats, Kate! I love Alison’s art too. Story sounds interesting, love the illos! We’re hoping to have Kate Hannigan visit our CPS school this year, and I’m excited about reading this latest book! Thanks so much for featuring her and giving insight into her latest work. It would be great to have a copy for our school! I can’t wait to read and learn more about Belva! Belva sounds like a fascinating character, Kate. Adding her story to my to-read list. Congratulations! This book sounds so interesting. I have never heard of Belva and look forward to learning more about her.